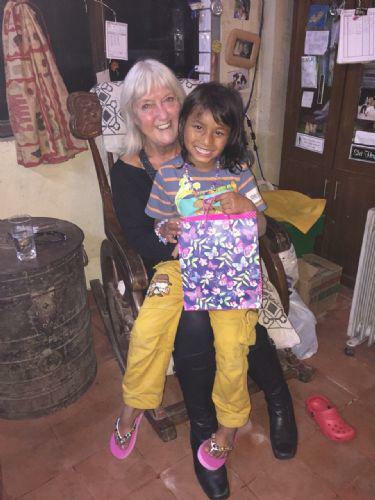 Mrs Preston has once again made the trip to Kathmandu to visit Mukti and the rest of our friends at Nawa Asha Griha. Since the earthquakes earlier this year there is still a lot to be done although thankfully most of the buildings at Nawa Asha Griha remained in tact. Mrs Preston sent over this lovely picture of her with Mukti wearing the new flip flops and jewellery from Miss Graham. She will be coming to school when she is back in the UK to give the children an update. Watch this space!